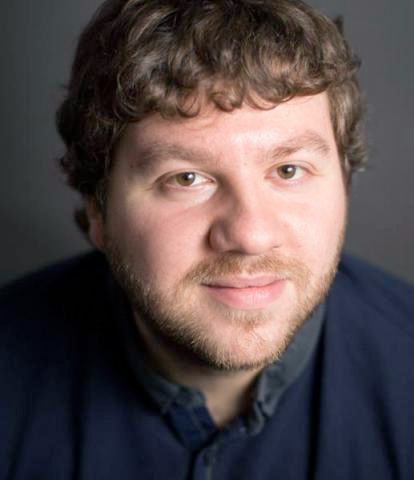 In 2002, our Digital Strategy Director, Oliver Westmancott, established a small digital consultancy. 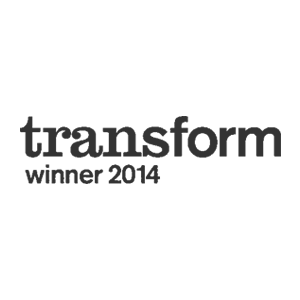 Soon after, he began working with IE – a well-established brand agency, founded by our MD, Ollie Leggett. It didn’t take long for the two Ollies to realise they had a lot more in common than their name. They shared a passion for helping Charity, Health and Education clients to connect with their audiences – not least because Ollie had been a teacher, and Oliver’s a Director of a UK charity. 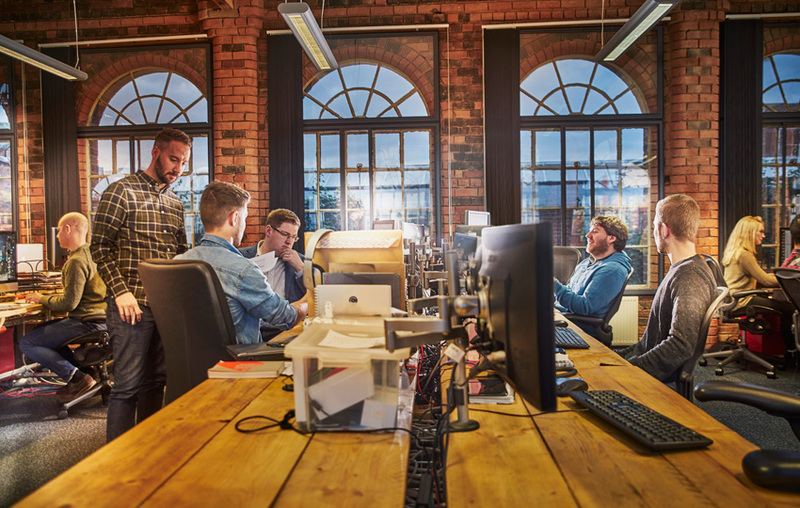 So the two companies merged and became the agency we are today: A team of 25 consultants, designers, and developers based in the historic Jewellery Quarter in Birmingham. And we still remain true to our original vision – putting technology to good use for values driven, not-for-profit clients. Whether it’s working with Government Digital Services to develop the future of digital apps in the healthcare market, helping charities to recruit volunteers and donors, or helping universities to attract and engage students – we’re the voice of the end user. It’s our job to turn them into your advocates. That’s why we’re the digital agency for Charity, Health & Education. Call us big headed, but we’re pretty confident we’ve got the best people in the industry. Because IE Brand is only as good as its people. Our studio is full of some of the industry’s best Brand Consultants, Researchers, Creatives, Designers, Filmmakers, Typographers, Copywriters and Artworkers – all under one roof. Driven by a desire to stand alongside values driven organisations and to make a difference through the power of brand and digital, Ollie founded IE in 1994 and continues to lead IE’s more complex brand consultancy projects. Notable not-for-profit clients include Christian Aid, Teach First, FPA (Family Planning Association), pfeg (now Young Money), Career Ready, Charity Job, Goldman Sachs Foundation, Cranfield University, University of Cambridge, and the universities of Aberdeen, Aston, Birmingham, Bristol, Imperial College London, Liverpool, Plymouth Marjon, Queen Mary UoL, Reading, Warwick and York. 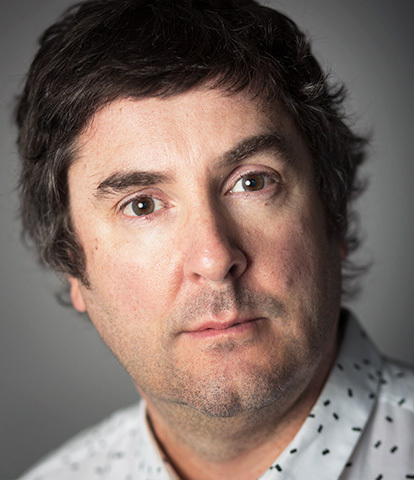 A regular speaker at CHASE, CASE and AGCAS, Ollie has worked in the creative sector for 25 years and is an opinion leader on the subject of optimising business practices within the creative industries. 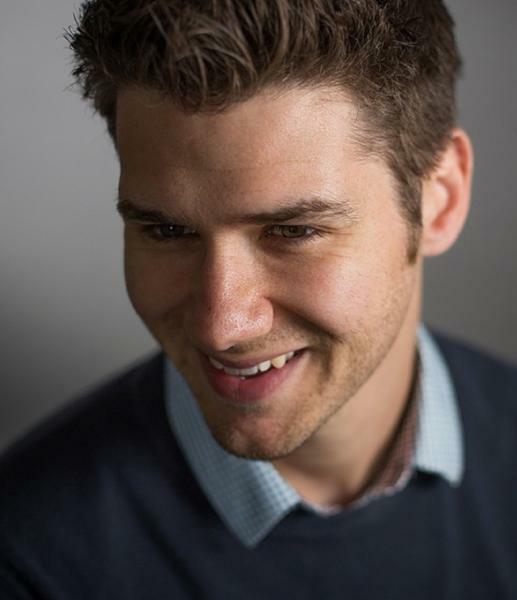 A passionate advocate of self-improvement and the power of peer networks, Ollie is a graduate of business school programmes at Cranfield School of Management, London Business School and Aston Business School. Ollie was awarded a Goldman Sachs Foundation small business leader scholarship to study toward an Executive MBA at Aston Business School. His Final Project entitled "Assessing the value of the CBIRM (Corporate Brand Identity and Reputation Matrix) framework to an international charity seeking to re-articulate its corporate brand" utilises the charity Open Doors International as a case study. In 2018, he graduated with Distinction. 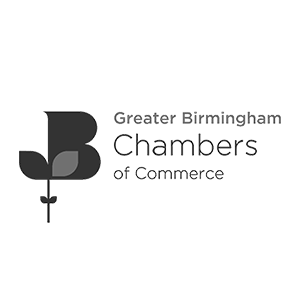 He is a Visiting Industrial Fellow of Aston University, a BSEEN business mentor, a volunteer for the Ahead Partnership and a Queen’s Small Business Charter Mark business school assessor for the Association of Business Schools. Ollie recently retired as a trustee of Trident: Reach The People Charity (a £14m+ social investment charity in the Midlands) to become a founder member of Christian Aid's Salt Business Network. Ollie was consulted by Lord Young as he gathered insights for ‘The Report on Small Firms’ and Lord Heseltine for his report ‘No Stone Unturned in Pursuit of Growth’. Lord Young’s office expressed thanks with an invitation to No.10 Downing Street and the Queen’s Garden Party. Outside of work he’s a keen runner, cook and figurative sculptor. He has raised thousands of pounds running for Midlands charities, and is aiming to achieve a sub 3.5hr marathon by the end of his 50th year. With over 15 years of industry experience under his belt, Dave serves as IE’s Creative Director – leading IE’s brand offering and award winning design team, as well as working as a Brand Consultant. Beginning his career as a Graphic Designer and making a gentle transition to consultancy, Dave combines his agency experience – which has seen him work with clients across almost every sector – with his love of design, writing and filmmaking. Dave can often be found knee deep in research for a brand project, locked away in a room writing key messaging, art directing a visual identity project, on location for a campaign film, or bringing clients up to speed and running workshops. 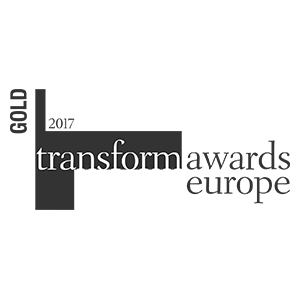 Under Dave's direction, IE Brand won two Golds at the Transform Awards Europe 2017, for Best Visual Identity from the Education sector and for Best Brand Architecture Solution. Dave has spent his life and career obsessed with the power of brand, and helping clients to connect with their audiences by standing out from the crowd, and telling their story to the world. Over the last few years, he’s been thoroughly immersed in the worlds of charity, health and education – and before that worked with a number of blue chip clients, including investment banks and building societies, record labels, TV production companies and retail. Dave and his wife are the proud parents of two young daughters, who take up the majority of his time outside of work. However, he tries to find time to indulge his passion for playing piano, and creative writing – he is often to be found working on speculative screenplays, and is a published non-fiction author. Should I tackle my brand and website together? How much brand research is enough? Justin is an internationally experienced, senior creative designer with a proven track record for delivering exceptional multi-channel brand communications. For over 20 years he’s built brands and campaigns for prestigious commercial clients in London, Hong Kong, Dubai and Dublin. Justin’s journey is a little unconventional. He started out selling duvets in a South London street market but a fascination for colour, type and music drove him to discover London’s design scene, and onto art school. Little did he know that this adventure would take him up through the advertising and design agency ranks - and around the world and back. Interested in everything, Justin is hooked on helping shape the future of brands, big or small, by employing creativity and business strategy to fulfil their potential as game changers – for the good. Outside of the studio Justin likes to spend most of his time with his wife and young son. Sara provides expert support on key marketing strategy, research and planning projects at IE. She enjoys the challenges of developing marketing strategies that will enable clients to stand out from the crowd, and identifying new routes for growth that will maximise potential. 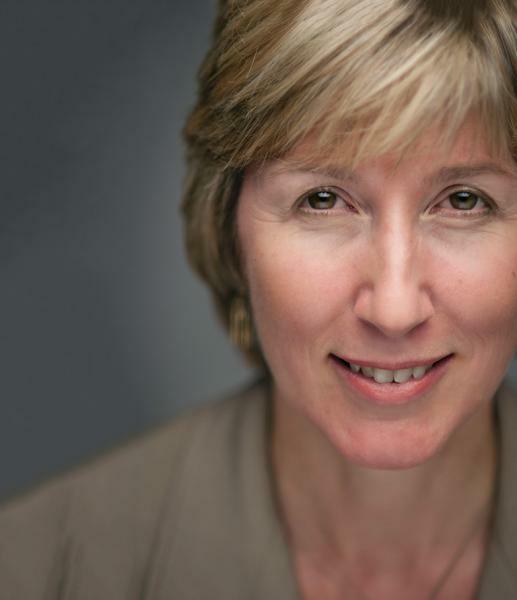 She has an impressive track record of high-quality delivery in the commercial and not-for-profit sectors, working with organisations including CMI Strategy, CSH Surrey, and the Amateur Swimming Association. 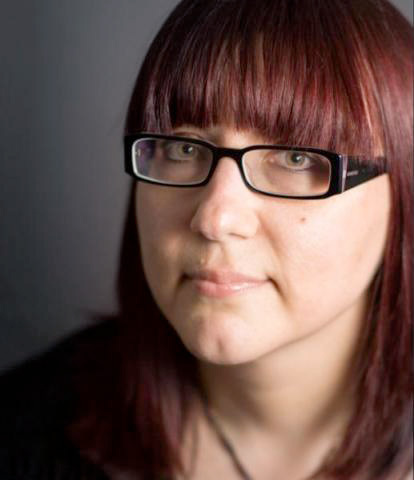 Sara is dedicated to inspiring insight; she loves to design and deliver research that will make a difference, be it e-surveys, face-to-face or telephone interviews, focus groups or data analysis. She's also an experienced facilitator, working with and inspiring clients and their in-house teams through problem-solving and scenario-planning workshops, team meetings, coaching sessions and more. Sara has an MBA from Warwick University and is PRINCE2 qualified. Josie joined IE from a London branding agency, where she cut her teeth on a range of clients – from blue chips, luxury hotels and pharmaceutical brands to charities and art museums. For Josie, design is all about having fun and she aims to produce beautifully crafted work that is always rooted in a strong idea that tells a story and provokes an emotion. She believes in pushing her ideas to the limit, then reigning them back in. She's particularly passionate about designing for print but enjoys developing brands across all media. She has a first in Graphic Design from Falmouth University. Outside the studio, she's been experimenting with making colour concrete plant pots, which she one day hopes to sell. She teaches swimming to children and enjoys running and yoga. A designer and concept artist with 7 years experience, Lewis has a proven track record of results-driven design. A UX and UI specialist, he has varied experience – both agency and client side – designing websites, apps and games. 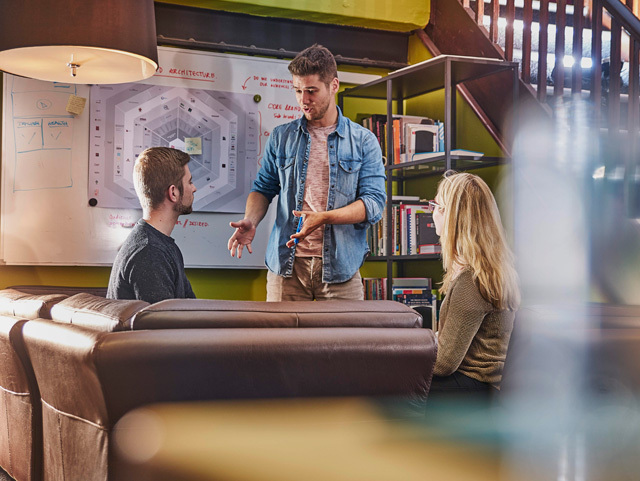 He has worked with big name clients such as Disney, the University of Sheffield, HSBC, MTV, Alton Towers and Pepsi (to name only a few), helping to bring their ideas to life. Lewis believes in the power of working together to create a whole that is greater than the sum of its parts. 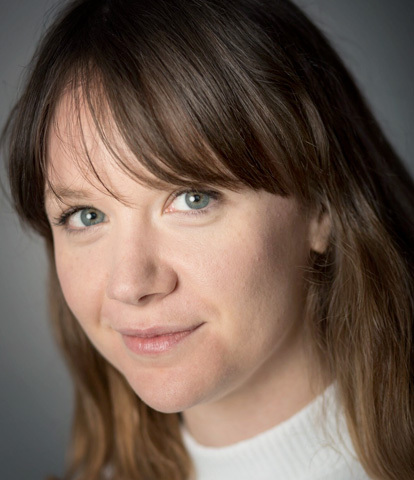 Emma is a positive, proactive, people focused Project Manager. Focusing on client and internal team members' needs to bring a project of value to all involved. 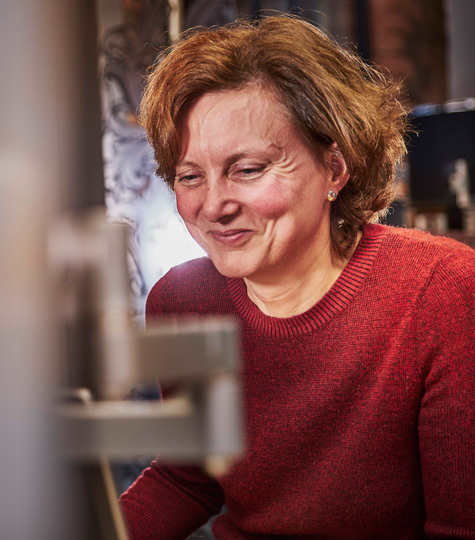 Inquisitive by nature and with a background in quality, Emma will always strive to improve efficiency. Her previous experience of project managing corporate communications, both in digital and in print, has given her the skills to multitask and deliver to tight, high pressured deadlines. Emma has also managed community projects and events, locally and overseas for the third sector and has strong focus to work on projects with purpose. 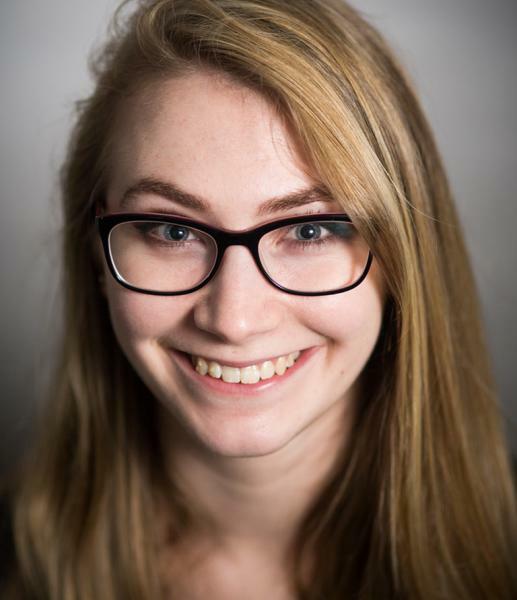 When she’s not creating lists, spreadsheets and organising calendars, Emma enjoys the theatre, singing along to Disney and getting involved in sponsored challenges, whether it be mud runs or abseils, she’ll dive right in! She is also fluent in British Sign Language. Denise has worked in a variety of B2B marketing roles for over 15 years, particularly in professional services. She enjoys nothing more than working with talented experts in their subjects and promoting that expertise to clients, be it through thought leadership, events, social media or high quality proposals. By joining IE Design, Denise is fulfilling a long-held ambition to work with values-driven clients in the charity sector, having spent many years with commercial clients, particularly in banking. Outside work, she is a keen amateur photographer and enjoys regular trips to the cinema, theatre, music and comedy gigs. She also volunteers with her local branch of Cats Protection (North Birmingham), combining her marketing skills with her love of animals. She lives with her husband and their two rescue cats. 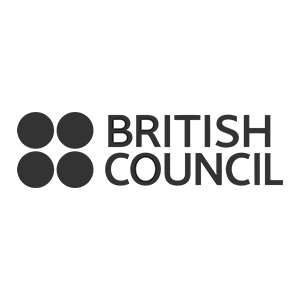 Rebrand – white wash or culture change? 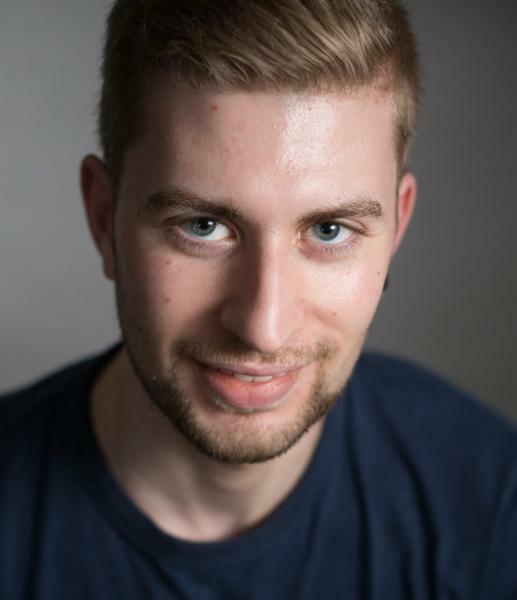 Ed holds an MSc in Intelligent Systems Engineering from the University of Birmingham and joined IE as a Web Applications Developer in 2008. 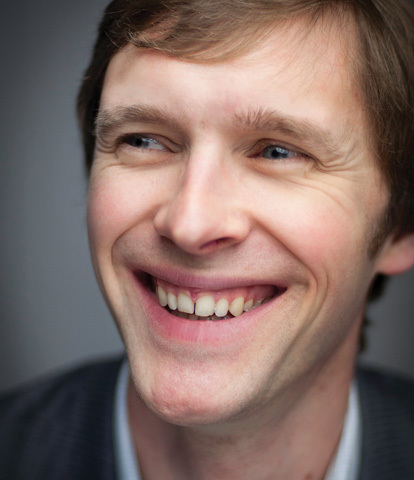 He naturally outgrew his development role and became our first Digital Consultant. Ed is the best bet for technical consultancy with web builds or integrations. His insight is invaluable on a myriad of projects from e-learning content and videos to user experience design and market research exercises. Ed brings his excellent problem solving skills and 10 years of experience working as a developer, consultant and director at IE to bear on each project he leads through the studio. Ed’s passions outside of work include astronomy, photography and above all – snowboarding! A keen programmer since the age of 10, Eli started out creating simple Flash-based games and has worked his way up to developing complex native applications on iOS and Android devices. With a love of music, he studied Sound Engineering at college - earning a triple distinction – while working as a lighting jockey at a local night club. 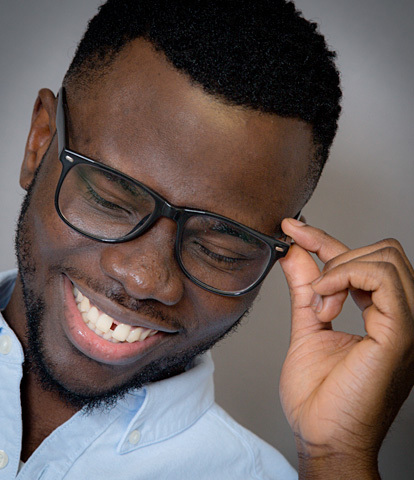 He then took his degree in Multimedia Technology at Birmingham City University, covering film, photography, web design, animation and programming. Before joining IE Design, Eli’s projects included developing and building a mobile app to organise online gaming, a heating control app and a flash video player to allow live streaming of Government meetings. Eli’s hobbies include music, TV and film as well as playing the drums, keeping fit and experimenting with new technology. 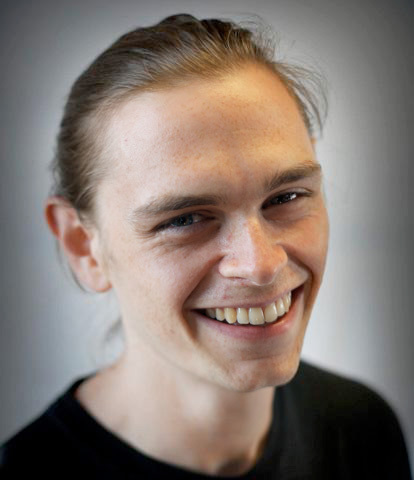 James joined the IE team in 2012 as a Digital Consultant. He brings his experience and knowledge of user experience to a diverse set of IE's clients – specialising in those projects that demand a detailed understanding of audience. 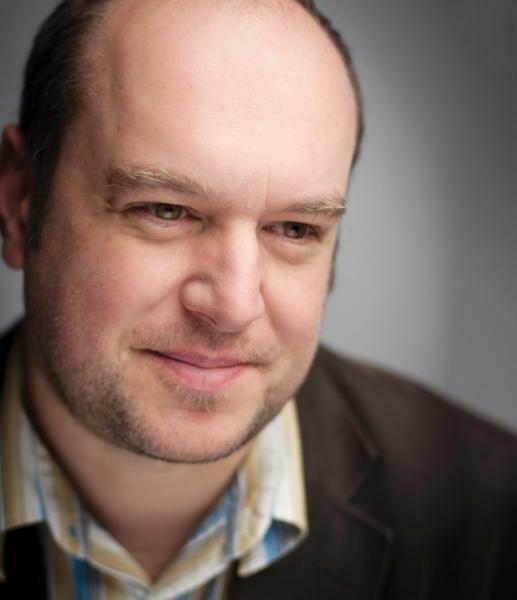 James has a BA Interior Architecture and an MA in Design Management, and has worked designing, building and managing internet sites, intranets and mobile platforms for the last 15 years in some of the UK's biggest and best known FTSE companies. He has also worked as a Wine Shop manager and Furniture salesman. Outside of work he bakes bread, drives a VW Camper and is a Governor at one of Birmingham's best primary schools. A Digital Consultant with experience as a producer of websites, apps and ecommerce platforms, Jodie has a passion for new technologies and is constantly learning. A business management graduate, Jodie's primary focus is always on nurturing strong relationships with her clients, built on two-way communication and transparency. She strives for excellence, and is constantly seeking process improvements. 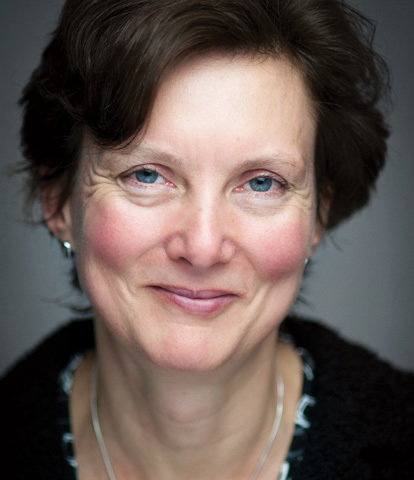 She began her career at Keele University’ as part of the Student Support team, focusing on digital. She then moved to a digital agency, in a production role for big brands in fashion/retail, technology and insurance. She jumped at the chance to transfer her experience to IE's clients in charity, health and education. When she's not working, Jodie loves to travel whenever she gets the chance. So far her wanderlust has taken her to the US, Thailand, Barbados, Egypt, and throughout Europe. Joëlle joined IE shortly after graduating on a six-month internship, before coming on board permanently as IE’s first female developer. Joëlle grew up in France and moved to Birmingham for university. 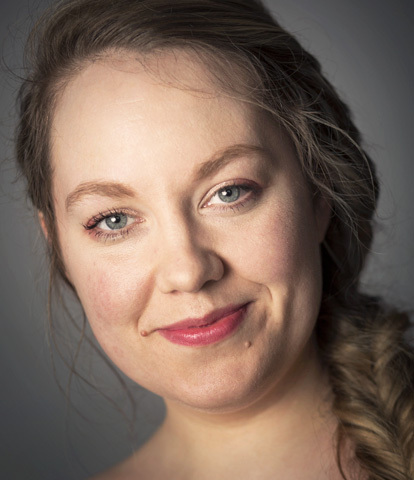 She enjoys composing, teaching, and performing on the piano, as well as learning other instruments. She also has a passion for dance, and will jump straight to a game of table football if the opportunity ever arises! Kate has been with IE for 15 years and is always striving for ways to do things better. After qualifying as a Chartered Accountant with Grant Thornton, Kate enjoyed working with clients as a Business Services Manager. Her understanding of finance informs her passion for excellent project management. 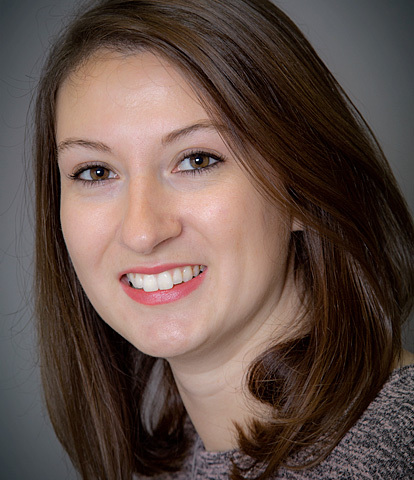 Kate is PRINCE2 trained and is an enthusiastic exponent of the ‘Agile’ project management philosophy. Together with the Consultant, Kate will ensure that your project is well resourced and delivered. Outside of work she enjoys boot camp sessions in all weathers. Nathan heads the digital development team at IE. He has seven years' experience as a web developer and programmer at various creative agencies, and a Degree in Information Technology and Physics. 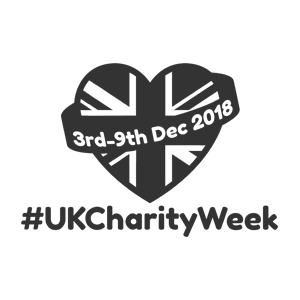 His passions include building custom, bespoke digital solutions using cutting edge frameworks and web technologies. Nathan utilises the logical problem- solving approach learnt in his physics modules to build elegant solutions to client problems. 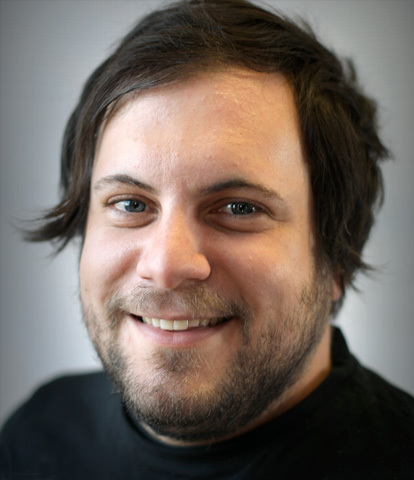 He's recently taken the step up to become IE's Head of Development, and qualified as an Acquia Certified Drupal Developer. Outside of work, Nathan is a gym freak, and enjoys listening to a broad range of music spanning all genres and is an avid gig/concert goer. With over three years of experience in computing and web development, Nelson is a great addition to the IE team. He’s always on the lookout for new challenges, using his ‘can do’ attitude and trademark smile to find creative solutions to tackling technical problems. The University of Wolverhampton graduate achieved a First Class Honours in Computing, which is a testament to his inquisitive and driven nature. His fascination with tech started when he began publishing his suspense-thriller fiction on his self-built website. This fascination ultimately led to him becoming IE’s Customer Service Engineer. Nelson loves sports, a passion he now shares with his young son, who he enjoys playing football with in his free time. The family orientated Nelson is always happy to share his IT skills by helping others to bring their ideas to life. Nick earned a first class honours computing degree from Buckinghamshire New University, and joined IE straight after graduation. With years of freelancing already under his belt, he was a perfect addition to the team. Following a year as a developer, Nick evolved into the Digital Consultant role, delivering technical designs, digital strategies and user experiences – the essence of what our talented developers and designers use to create our digital work. He's been pursuing the NN/g User Experience Certification, as well as keeping his development skills sharp, earning the Acquia Drupal Developer Certification. Nick has now returned to his first love of coding as a web developer, where his time as a consultant will continue to inform his work. Nick practices the habit of having a positive outlook on life. He is passionate about writing and recording music and loves getting lost in a good book. He can occasionally be found sat on the floor building with Lego bricks, insisting that one is never too old. Otis has been programming for ten years, since teaching himself to code, and studied Software Development at college. After several years freelancing with his own business, he’s moved in-house, working in various commercial organisations. He’s excited by IE’s specialism in charity, health and education, and passion for making a difference in the world. 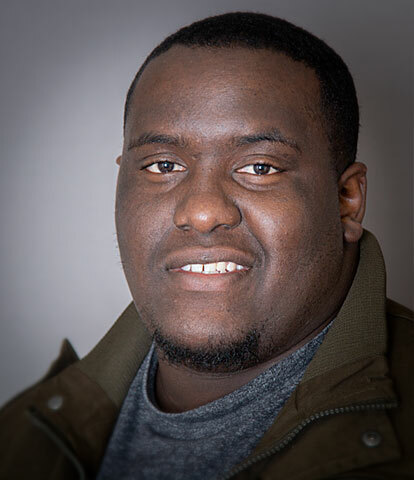 Otis is passionate about self-development, both as a programmer and in business, through a strategic, problem solving approach to any challenge. Outside work he’s enthusiastic about all aspects of exploring the world, which he balances with life as a family man, songwriter and recording producer. 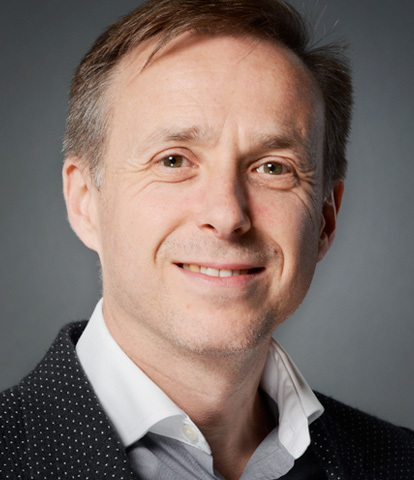 Oliver first started working with IE in 2000 and became a director when IE bought his consultancy business in 2003. Although no longer hands on with production work, Oliver still loves technology, particularly when it’s applied to solving real world problems. 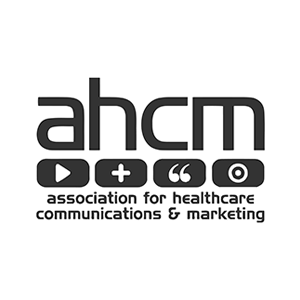 He provides hands-on consultancy support to key clients, leading co-creation workshops with stakeholders from the likes of including Public Health England, NHS Digital and West Midlands Fire Service. He recently addressed a delegation of Chinese healthcare executives through Nine Health CIC and presented at the HIMSS Executive Leadership Summit. Oliver loves to wrestle with the strategic challenges of organisations and to look for interesting digital solutions to those challenges – appropriate for the world we live in today. Alongside IE's MD Ollie, Oliver graduated from the Business Growth Programme at Cranfield School of Management. Outside of work, he has an eclectic range of interests from breeding ducks to hand developing photographic film. His real passion though is for seeing peoples lives transformed, both here in the UK and across sub-Saharan Africa. Oliver feeds this by working as an elder of his church (The Forge) and as a supporter and advocate for a South African charity (Hands at Work) working with the poorest of the poor in eight African countries. 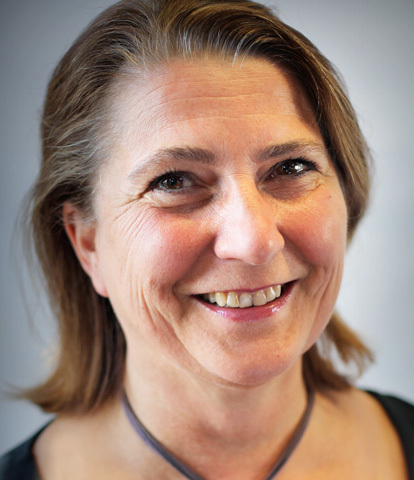 Iris has been working in the fundraising sector for nearly 20 years. She is a visionary leader with a heart to develop and inspire people to achieve their goals and grow as individuals. As well as her consultancy work, Iris works part-time as Director of Programmes and Supporter Engagement for a small international development charity. Her experience ranges from heading up fundraising teams in large organisations such as Oxfam and World Vision, working in international marketing strategy advisory groups to coaching and mentoring teams in small charities to help them bring a step change to their fundraising. Read the full Sexwise case study. 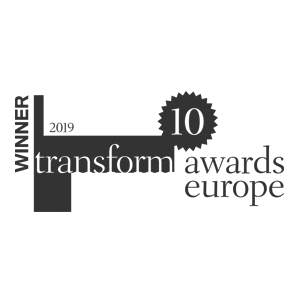 Winners of three awards at the Transform Awards Europe, 2017. Our judges praised the strong visuals, creative approach and impressive results coupled with a harmony between graphical and textual elements. 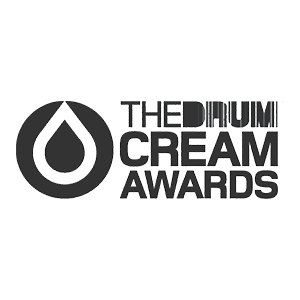 The Cream Awards recognised and rewarded the very best creative work from the Midlands, East, South West & Wales. Hand drawn with a beautifully crafted attention to detail, our illustrations for PFEG injected a sense of informality, youthfulness and character to everything the charity does. Mr Moola –one of the core character illustrations – became the face of PFEG’s successful ‘My Money Week’ – a national activity week that provides essential financial education to children as young as 7. Campaign brand, messaging and visual identity by IE Brand. Love Your Clothes website, including video content, by IE Digital. 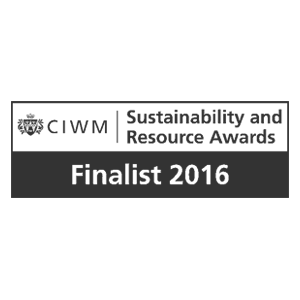 The Sustainability and Resource Awards are held annually by the CIWM (Chartered Institution of Wastes Management). 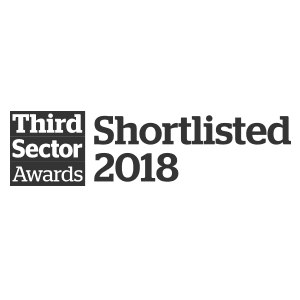 The prestigious awards are presented for outstanding achievement in the sustainability, resource and waste industry and are judged by the most respected experts in the sector, representing the highest level of achievement. Read more about CSH Surrey . Awarded by CV Magazine at their 2018 Corporate Excellence Awards. The awards are hand picked by CV Magazine’s dedicated research team to recognise the very best in business. Winners are chosen following careful research by CV's in house team, to reward organisations of all sizes who are succeeding in their endeavours: innovating, growing and improving. 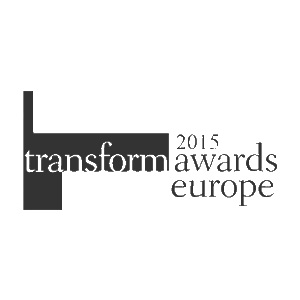 Winners of three awards at the Transform Awards Europe, 2014. The UK’s leading financial education charity, PFEG won Best Secondary Resource for the My Money Week resource packs IE designed for the national campaign. PFEG (now Young Money, part of Young Enterprise) ran the a national activity week, to educate both primary and secondary students in financial matters. IE’s creatives designed the pack in a newspaper style, aiming to provide creative, engaging and flexible teaching materials to support PFEG's My Money Week initiative. The packs contained articles, problems, puzzles and a sports page. PFEG is now Young Money, part of Young Enterprise. 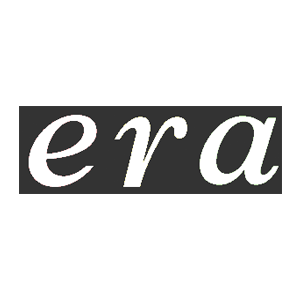 The Education Resources Awards (ERA) highlight and reward the quality and diversity of educational products, resources, services and people as well as the best educational establishments and the most dedicated members of the teaching profession. The ERA is recognised throughout the education sector as the Accolade of excellence. As a business we are ISO 9001 Accredited and undergo an annual external audit. This is one of a number of internal processes and procedures we have in place to ensure our clients receive a first-class experience with IE. IE has been ISO 9001 accredited since 2008 for the design and provision of web, interactive, design and brand solutions. Last audited April 2019. Certificate number GB 14129916. Read more about our university careers brand work. 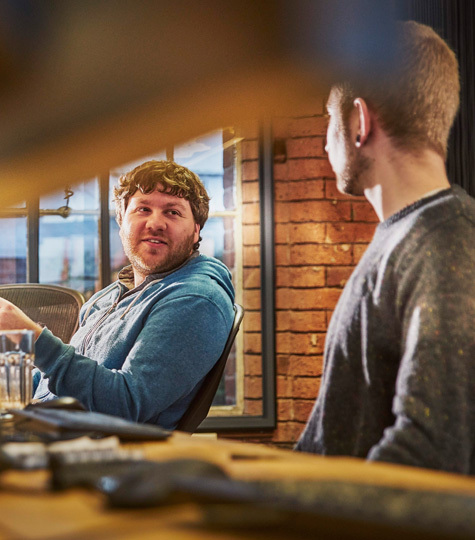 IE's core belief is that the world’s values-driven organisations deserve access to the best: the best thinkers, the best creatives, the best developers and the best service. 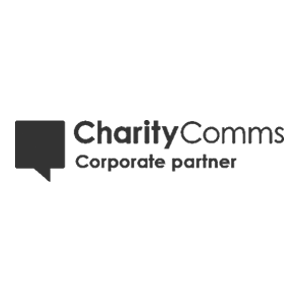 As an agency partner who understands the needs of charity marketing and communications professionals, IE Brand is proud to be a CharityComms Corporate partner. 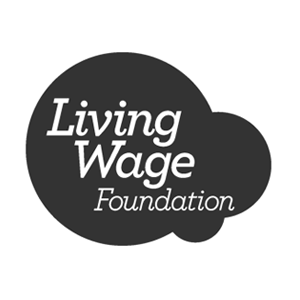 IE Brand is proud to be accredited by the Living Wage Foundation, for voluntarily paying a higher rate of base pay. The real Living Wage rates are independently calculated based on what people need to get by – higher than the UK governments minimum. 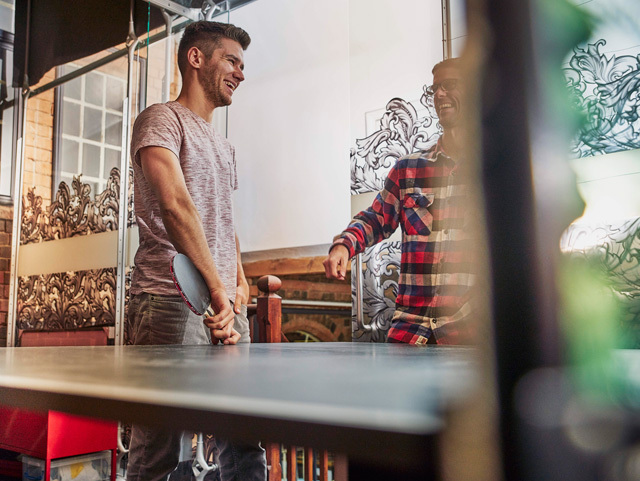 By paying the real Living Wage, employers are voluntarily taking a stand to ensure their employees can earn a wage which is enough to live on. That basic fairness is at the heart of what the Living Wage campaign is trying to achieve and why great businesses and organisations choose to go further than the government minimum. IE is a proud Corporate Friend of #UKCharityWeek 2018. #UKCharityWeek is a campaign designed to get the UK public talking about – and fundraising for – their favourite causes, just before Christmas when people are statistically at their most giving. 2019 has been a record year for submissions. The judging was extremely thorough so this year has been very competitive. IE Brand is proud to be a Birmingham agency, but that doesn’t mean we only work in and around the UK’s second city. With so many UK charities choosing London as their headquarters, it’s no surprise that over 50% of our clients are based in the capital, and IE consultants are in London at least 2-3 times per week on average. And with UK universities being an area of specialism, we also work across the whole country, with clients as far north as the University of Aberdeen, to the University of Southampton. We’ve also worked with a number of clients in the Republic of Ireland, including University College Dublin. Our central location offers the perfect opportunity for us to hop on the motorway or jump on the train regardless of your location. Current travel time by train to London is just over an hour – so we can often be with you faster than London agencies can travel across the city: offering you the convenience of a local agency, without their day rates. IE Brand's people are our most important asset. We believe in investing in the next generation of consultants, copywriters and designers. That’s why we created the IE Academy – a recruitment programme for creatives. Each and every member of the IE Brand team shares our ethos, and we encourage the team to participate in charity / community projects, which are supported by the agency. Lots of agencies can make a brand. We’re making a difference. If there are no vacancies listed below it means we're not hiring for any specific roles right now. But if you think we’re missing out by not having you on the team, please send your CV to hello@iebrand.co.uk. We don’t have any job vacancies at the moment, but if you think we’re missing out by not having you on the team, please send your CV to hello@iebrand.co.uk.